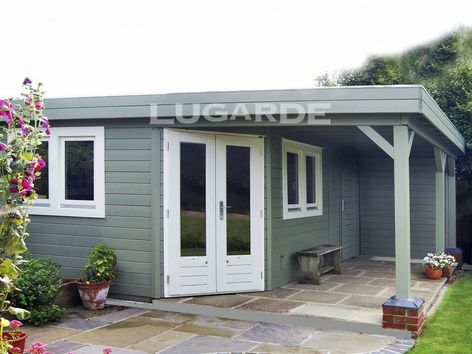 The Lugarde Prima Isla is a two room garden building ideal as a summerhouse and separate store. It has an attractive corner door and canopy making a practical covered walkway between the two doors. 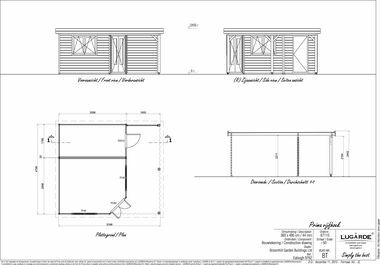 The summerhouse measures 3.6m x 3m and the store 3.6m x 1.8m. The canopy is 1.8m x 4.8m. The standard package includes 1 x PE26H corner door, 1 x DD01H solid door and 2 x PE48 windows.